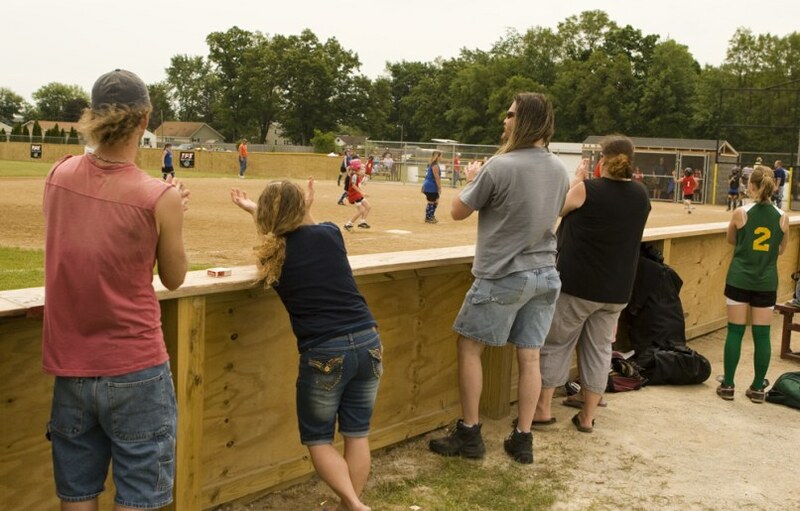 Watching from behind a new wood fence, spectators cheer at a Little League softball game at Baugo Township Field in Elkhart, Ind. Rather than replace broken fences at the field, the league accepted a donation of plywood and posts. The plain is to get sponsor banners on the fence.